Weddings are getting more and more showy and ostentatious , people happily spend large amounts of money on buying bridal dresses, saris , gifts and want them to be displayed in a grand manner. The idea is to make the gifts presented in a fitting manner giving rise to trousseau packing industry! This hand-woven bamboo tray is ideal for dresses and any other item as its sturdy and durable. 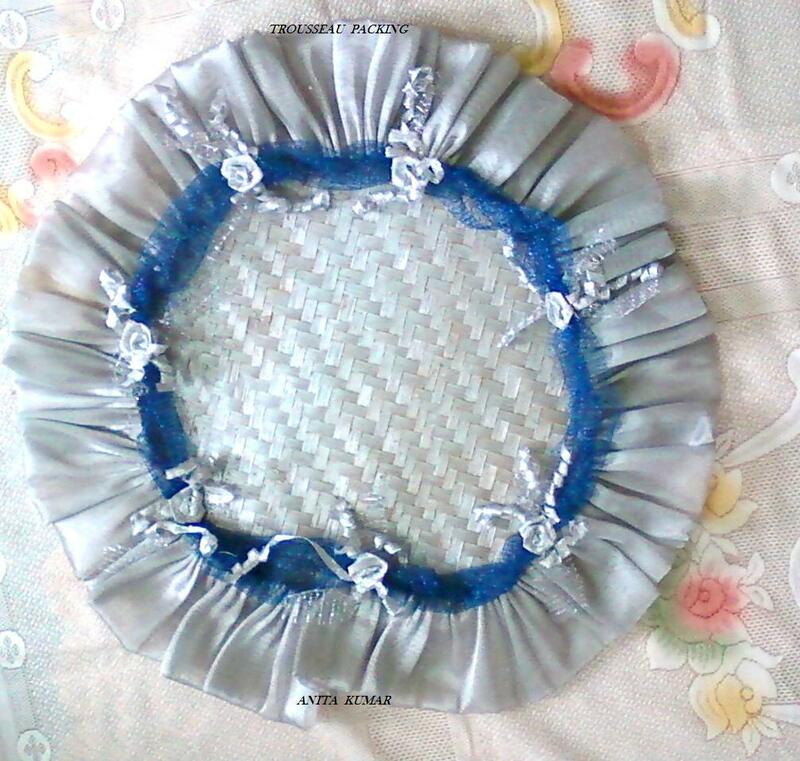 The net and satin frill can be color-co-ordinated with the items to be gifted and displayed in a pleasing way. Indeed a tastefully presented gift is a work of art!